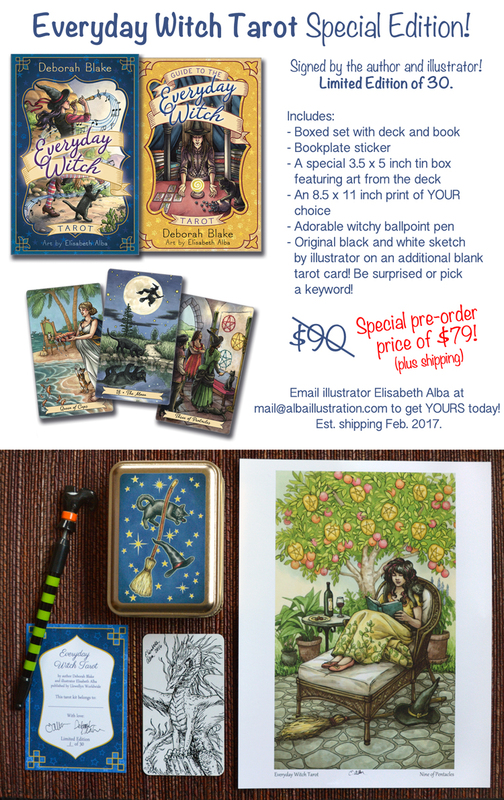 ← Everyday Witch Tarot – a gift for the holidays? Only one month left!!! ONE MONTH!!! It’ll be here before we know it. 2017 is looking up! 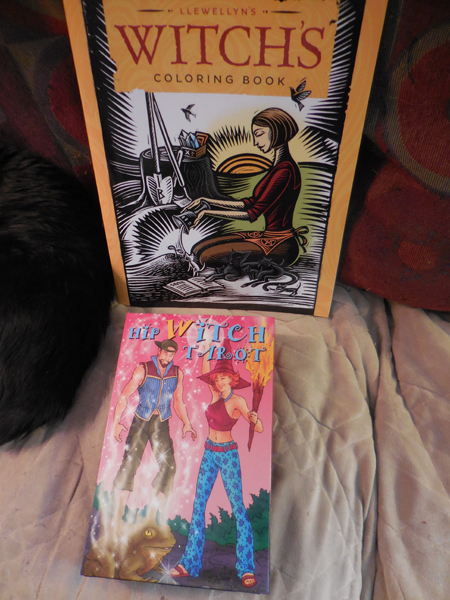 Deborah and I can hardly contain ourselves, we’re so excited to see the Everyday Witch Tarot in person. So we’re going to throw another GIVEAWAY! There are only 16 spots left, so order yours today for the special price! After publication on January 8th, the price will go up to $90. See that dragon sketch above? One of our early collectors requested “dragon” for her keyword. I had a lot of fun with that one! One thing I love about this Special Edition is that I get to meet Deborah Blake in person! We’re going to meet up in January after the deck comes out to sign everything together. I’m really excited! There will definitely be a blog post with photos of the meeting, signing, and merrymaking. You can pick either the coloring book or the tarot deck! 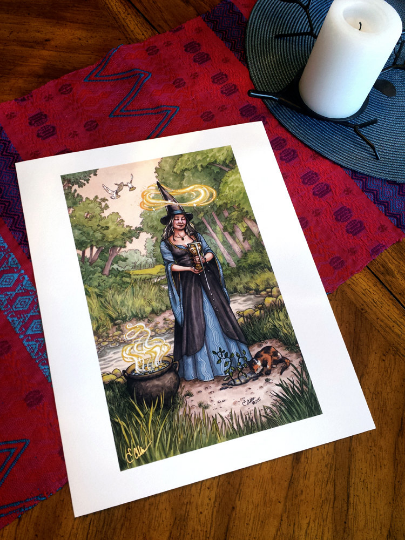 The signed print of the Ace of Cups from the Everyday Witch Tarot! This entry was posted in announcements, tarot and tagged deborah blake, everyday witch tarot, giveaway, llewellyn, tarot, tarot deck, witches. Bookmark the permalink. One Response to One Month till Everyday Witch Tarot!!! I just want to say thank you for the chances. Your illustrations are amazing!